Optimized for use on fast astrographs for astrophotography and imaging, the Alpine Astronomical Baader f/2 Highspeed Oxygen-III Nebula Filter is used to tease out the elusive details and boost contrast on planetary nebulae by eliminating all wavelengths of light except for the narrow O-III band. This filter is ideal when used on Celestron's Rowe-Ackermann Schmidt Astrograph (RASA), or with Hyperstar-equipped Cassegrains. When conventional narrow-band filters are used on fast optical tube assemblies, there is usually significant transmission loss due to strong center wavelength shift. To counter this, the highspeed filter is designed to be pre-shifted to bring them back on-band when used with f/2 to f/3 optical systems. 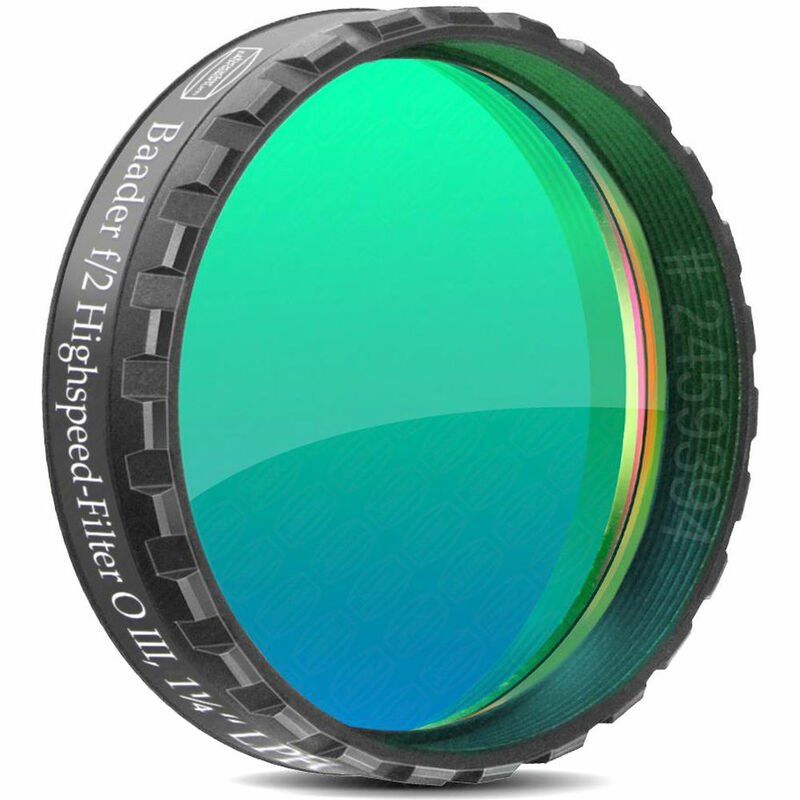 The filter surface is dielectrically coated with anti-reflection coatings to transmit the maximum amount of light through and precision planeoptically polished to limit distortion and color fringing. It comes mounted for easy installation on just about any 1.25" eyepiece, diagonal, or Barlow lens for prime-focus or eyepiece projection photography and imaging techniques.